Product code: ES2303 Categories: Sold Items, Sold Rings. 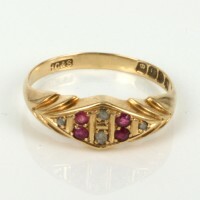 Here is a very sweet ruby and diamond ring that was made in 1916 and sits so well on the finger. Made in 18ct yellow gold, this ruby and diamond ring has the stones set in a wonderful geometric lozenge shape with these fabulous arrow designs at each end. 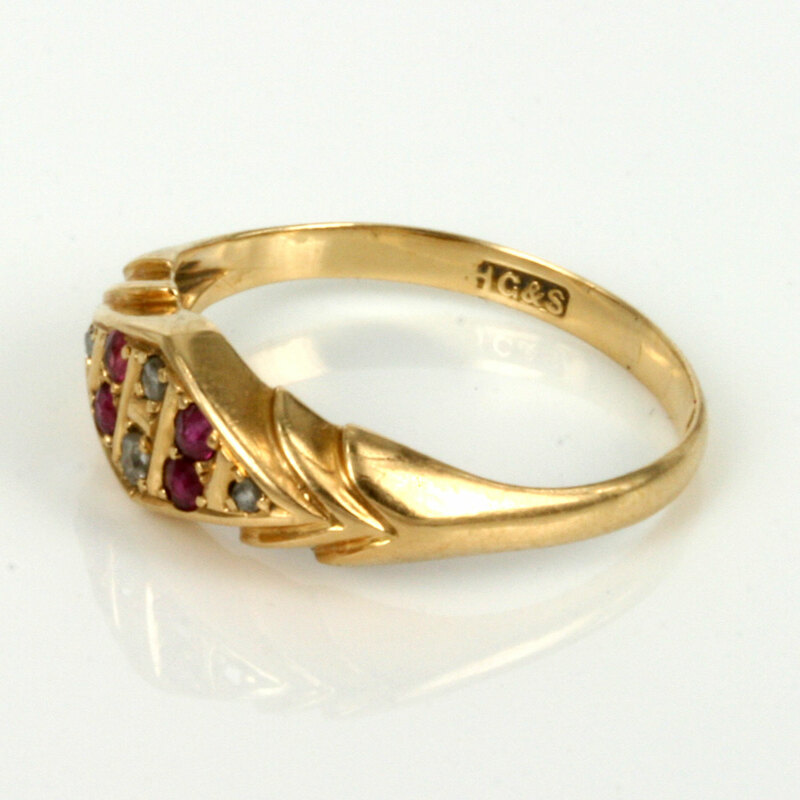 It is set with 4 round natural rubies and 4 rose cut diamonds and at its widest point the ring measures 6.5mm wide, and sits so well on the finger. This is a very attractive ruby and diamond ring perfect for any finger and any occasion.